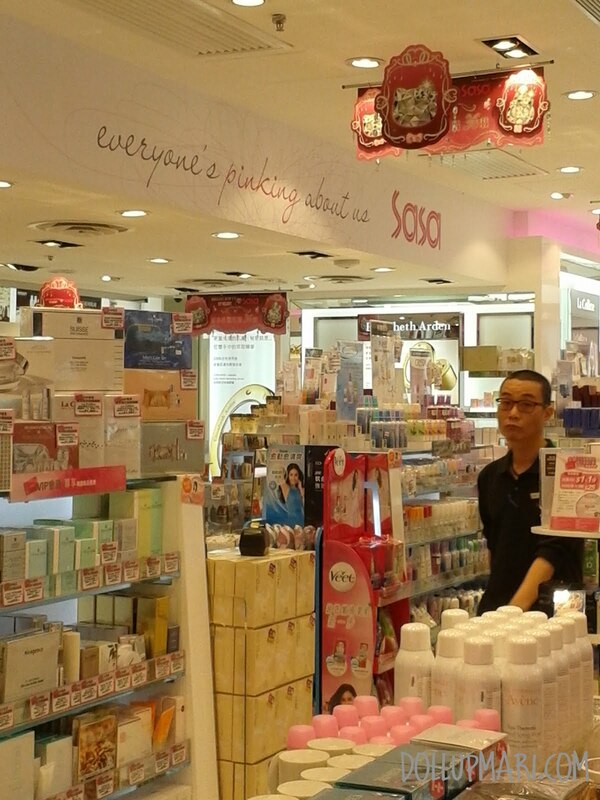 Sasa sells Japanese stuff, and Western skincare and cosmetics brands. They also sell deluxe sample sizes of extremely posh and expensive skincare brands. 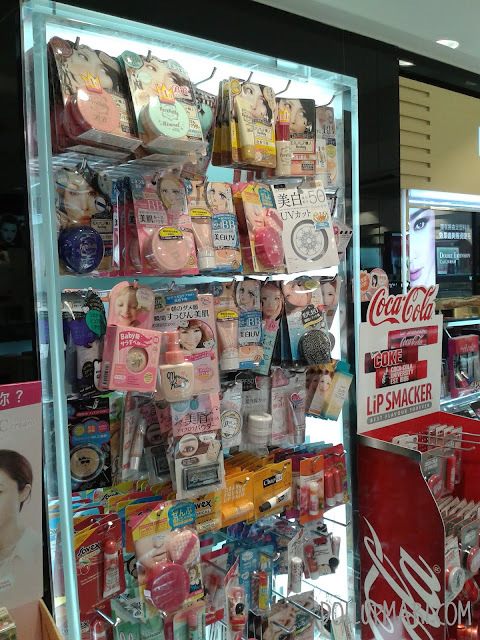 But the bulk of the fare is Japanese makeup. 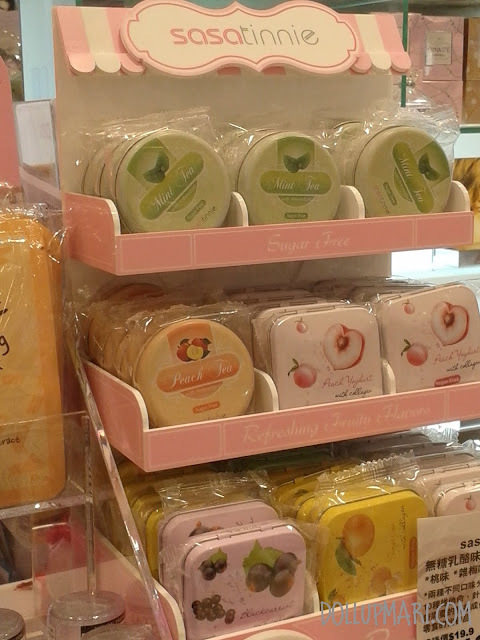 To show how Japanesey the stuff are, let me walk you through my haul! First off is a set of Dolly Wink false eyelashes in Girly Sweet or Set 1. I have no idea why they went back to this packaging given that this is already the old packaging, and that the one that came after this was waaaaay cuter. I'm just thinkng that it might be due to the fact that the other packages were harder to manufacture as each plastic case for each kind of eyelash was different, compared to these where only the cardboard inserts and labels are different. 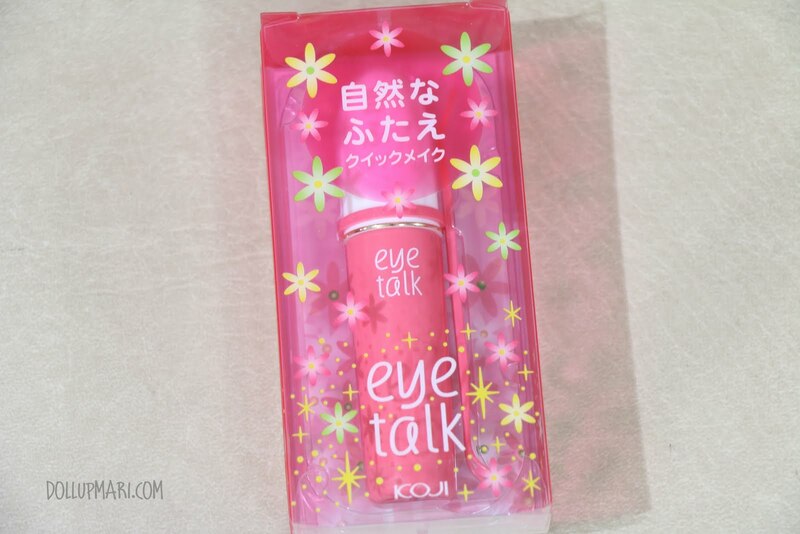 I also got myself a tube of Eye Talk. 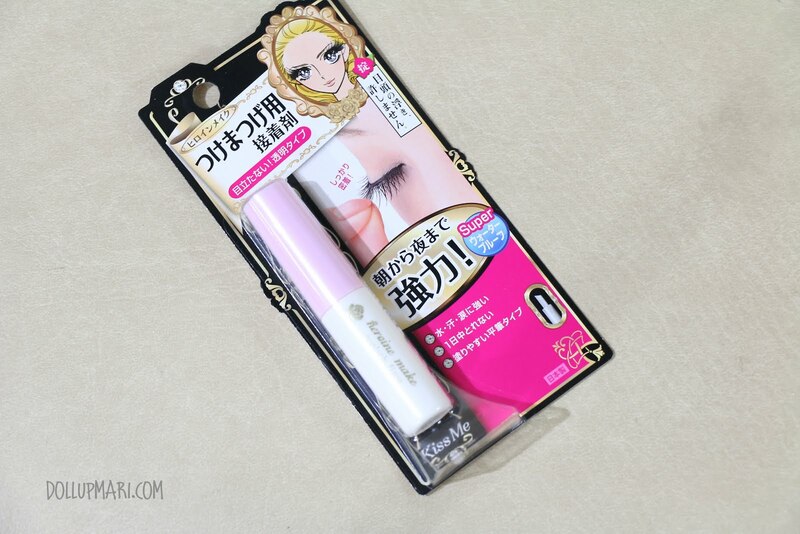 This is my holy grail eyelash glue-- it's like Duo eyelash glue, only stronger. It's meant to glue eyelids to make a fold, so if it's able to withstand so much human sweat and oil to keep two areas of skin together, it must be waaay stronger when you're just sticking an eyelash onto skin. It's also in a brush form, which is why it's easier to use. 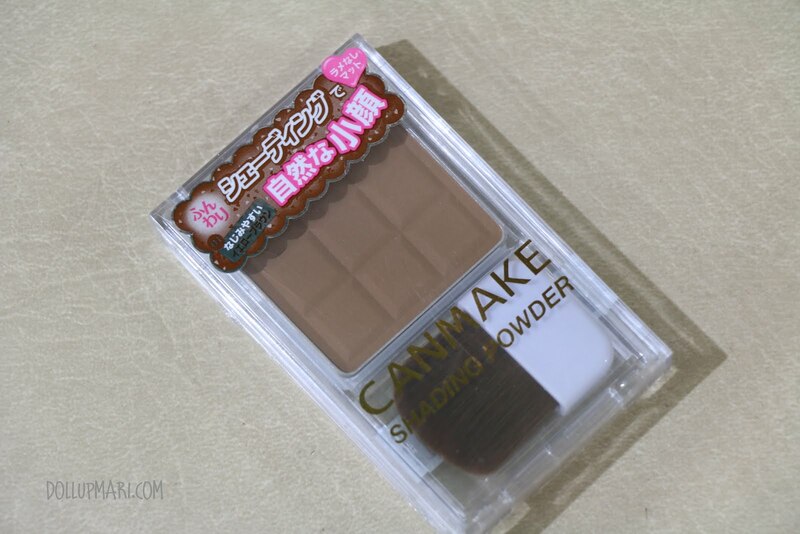 I also got myself another pan of CanMake's Shading Powder in Danish brown. There was also another choice (honey brown) but since this is darker and that the other one was already too yellow (it may not match some skintones anymore), I opted to get this one instead. 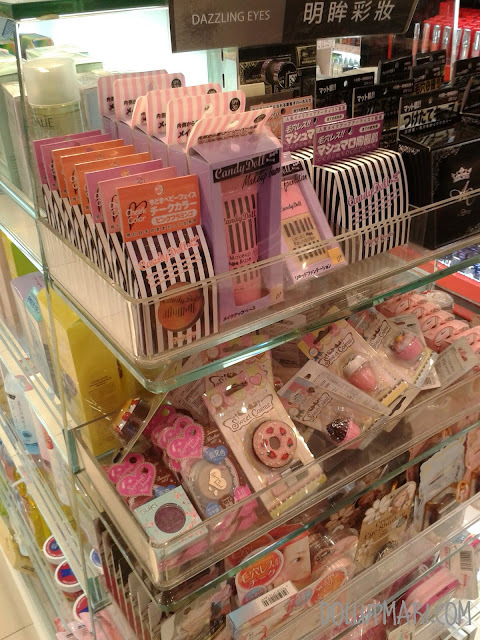 Some of you may have seen my Dolly Wink review on the honey brown eyebrow powder and how I liked it. This is now me expressing how much I liked it by getting it in another shade (Chocolate Brown). In general, I told myself that 2014 is the year I explore Dolly Wink more, which is why I got myself a promo pack of their eyeliner and volume mascara. 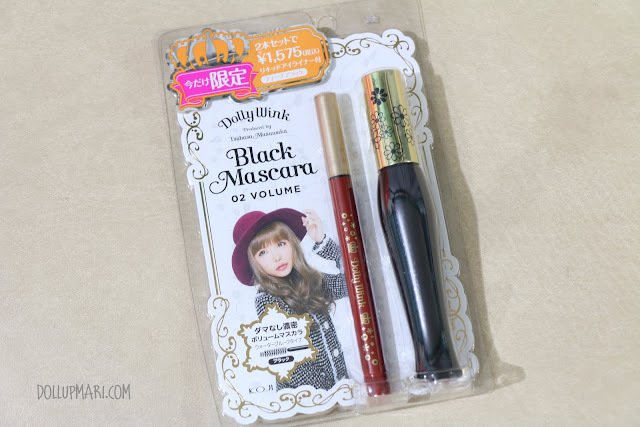 Though I'm majorly a powder user, given that it was a number 1 in cosme rankings, I decided to give this Heavy Rotation Eyebrow mascara a try. And I also got another set of Dolly Wink lashes, this one which I plan to use for parties as it will definitely look gorgeous and natural. This is Heroine Make's eyelash glue. I honestly have not had any feedback on this, but since it's by Heroine Make, I didn't think twice of getting it. This is my holy grail mascara. As in this is the only mascara I can trust to use on brides. 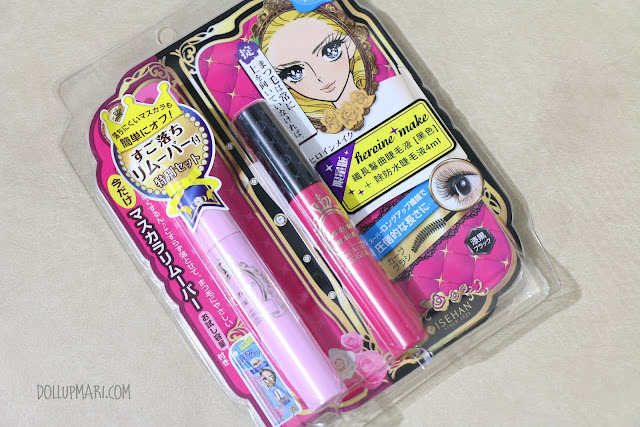 Heroine Make's strongest offering is this mascara of theirs. 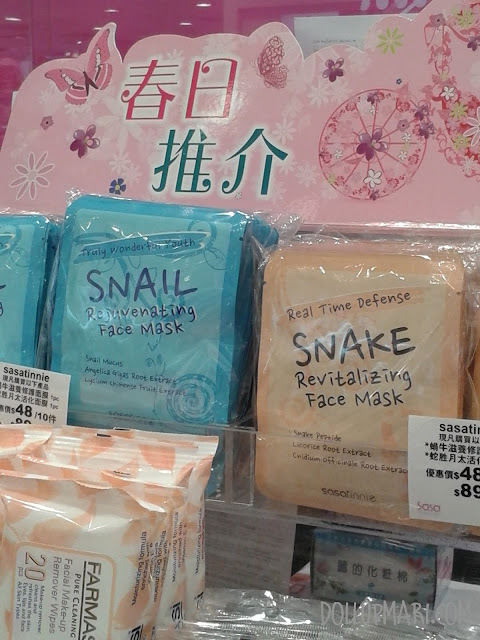 The nice thing is that it even comes with a free tube of mascara remover. And this is my favorite section. 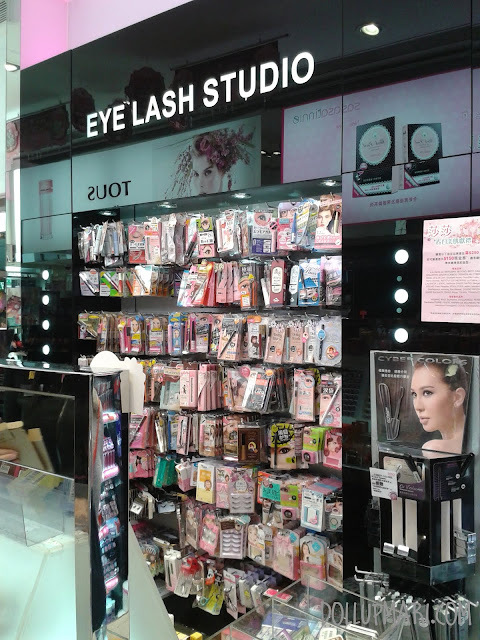 They have mascaras and eyeliners of virtually every strong cosmetic company in Japan, as well as lip glosses, blushes, and everything else in between. 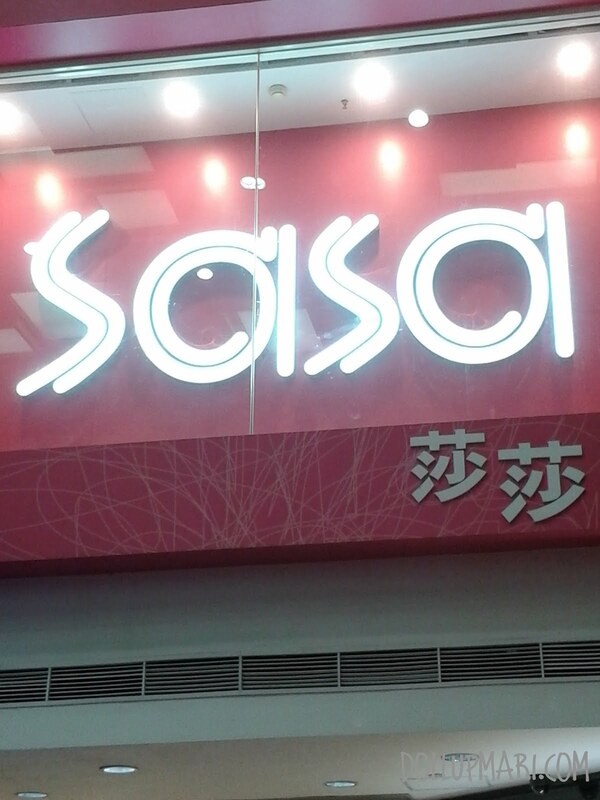 The store has gotten so strong that before, they just imported stuff, but now, they also have their in house brand called sasatinnie. They have virtually everything a girl could ask for. And when they say Japanese, the stuff really are Japanese in brand and origin and place of manufacture, not just Japanese sounding brands that are Made in China in the end. 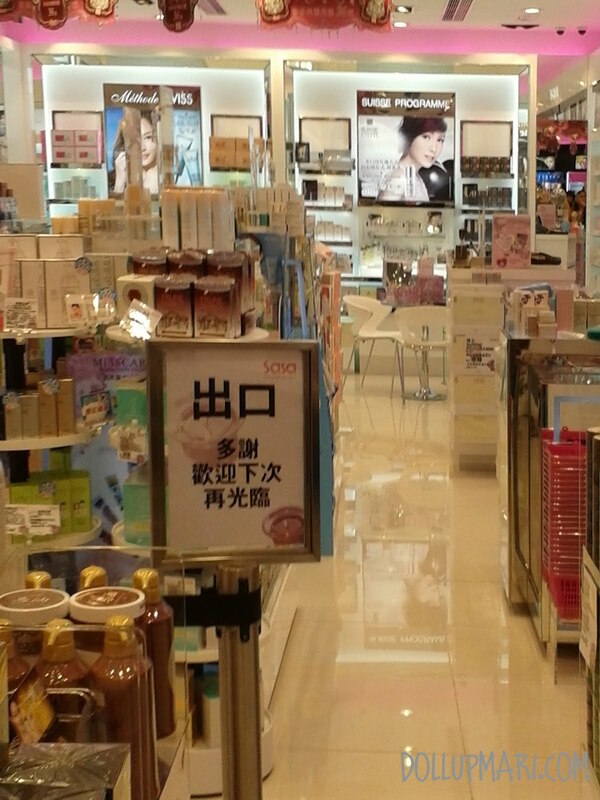 I really dream of the day they open their doors here in the Philippines.